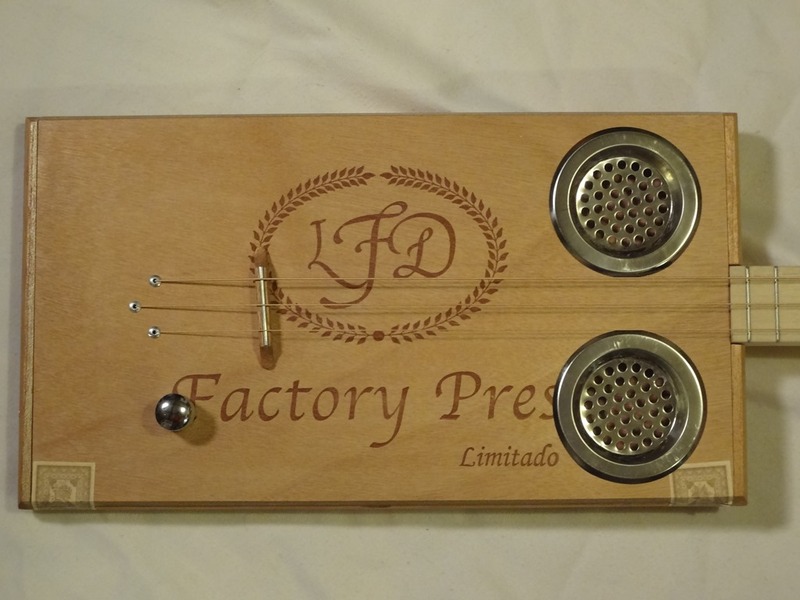 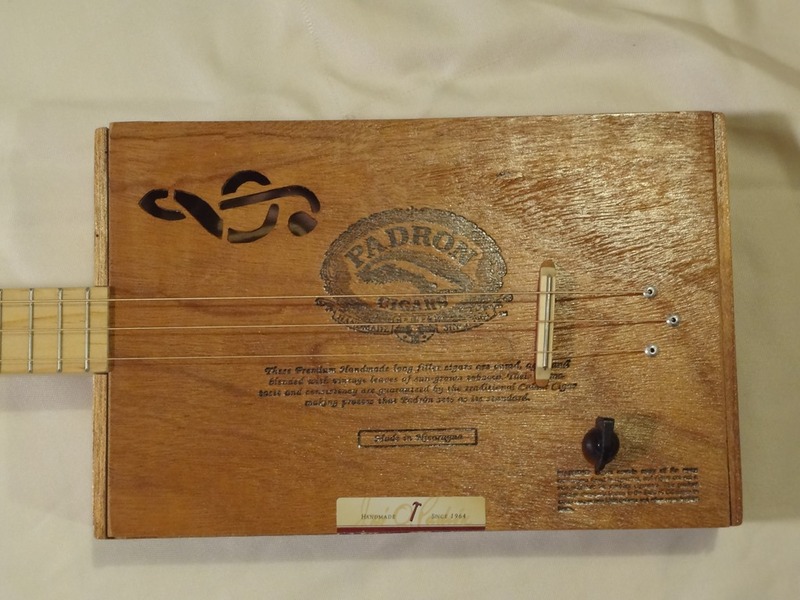 Great sounding Padron box, nice and roomy for a deep sound with a treble clef sound to let out all the wonderful tone. 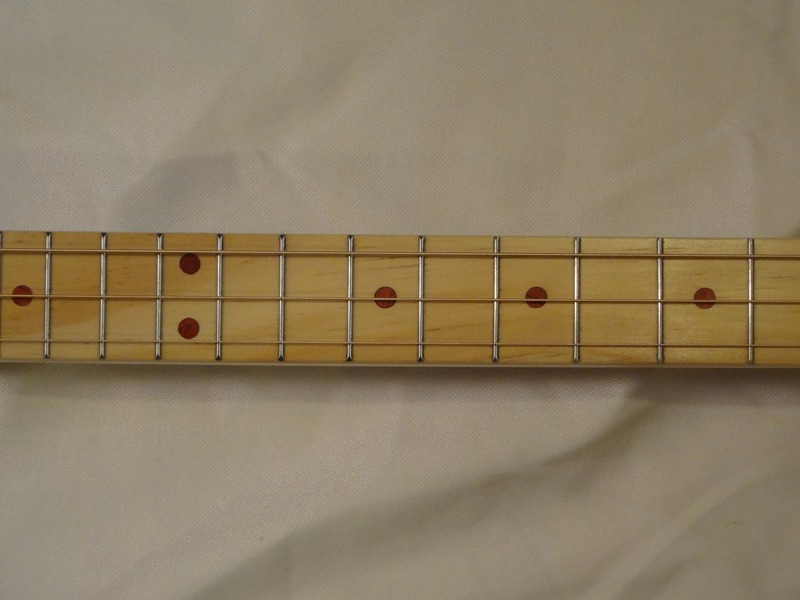 Poplar neck, Yellow Pine fret board and grey dot fret markers top everything off. 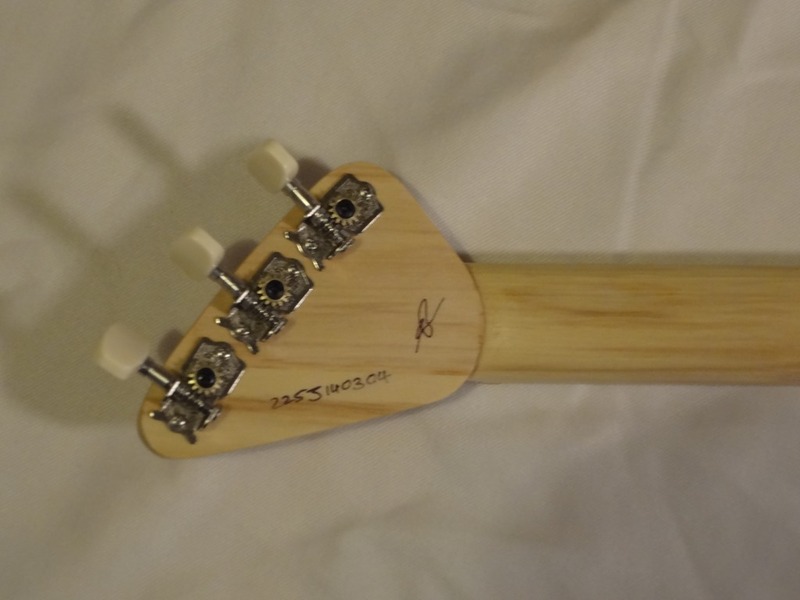 She is a great sounding guitar, both unplugged and plugged with an awesome look. 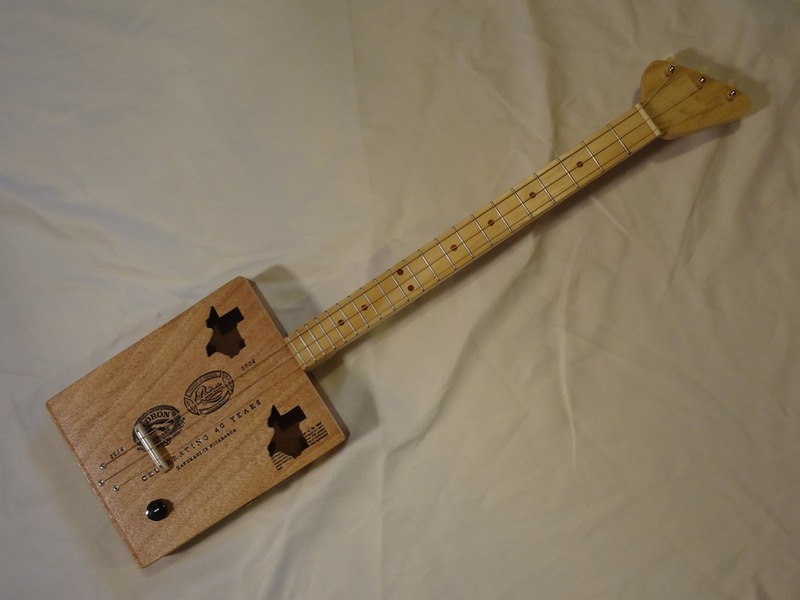 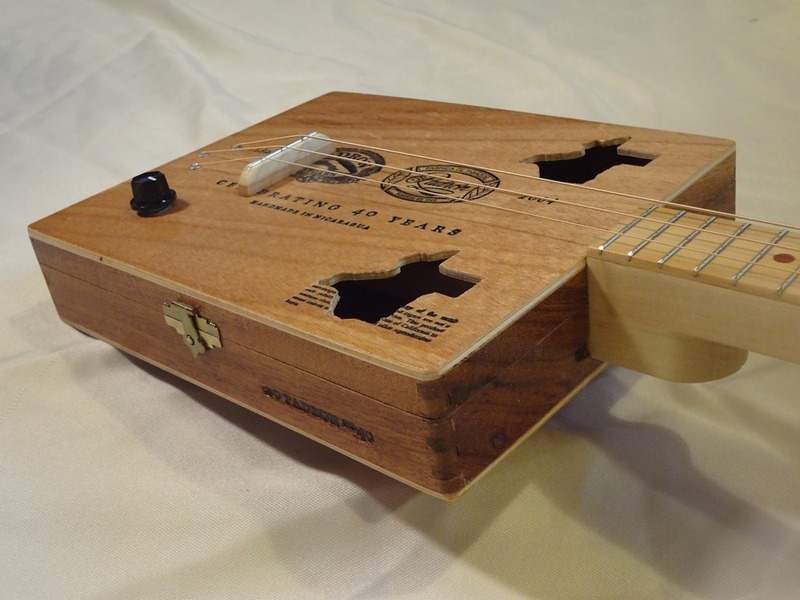 My Fathers boxes always make good instruments but this one is really cool. 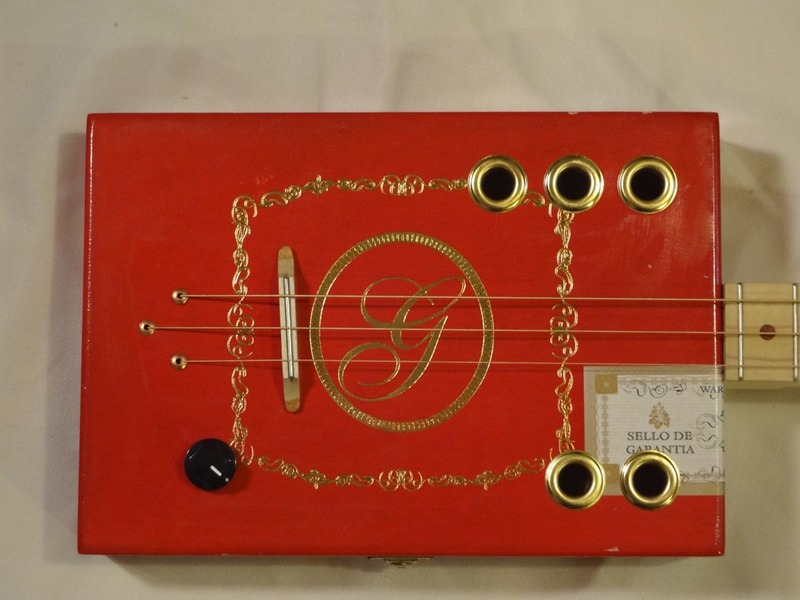 All wood box painted red and gold, we added five sound holes in an asymmetrical design to help her sing. 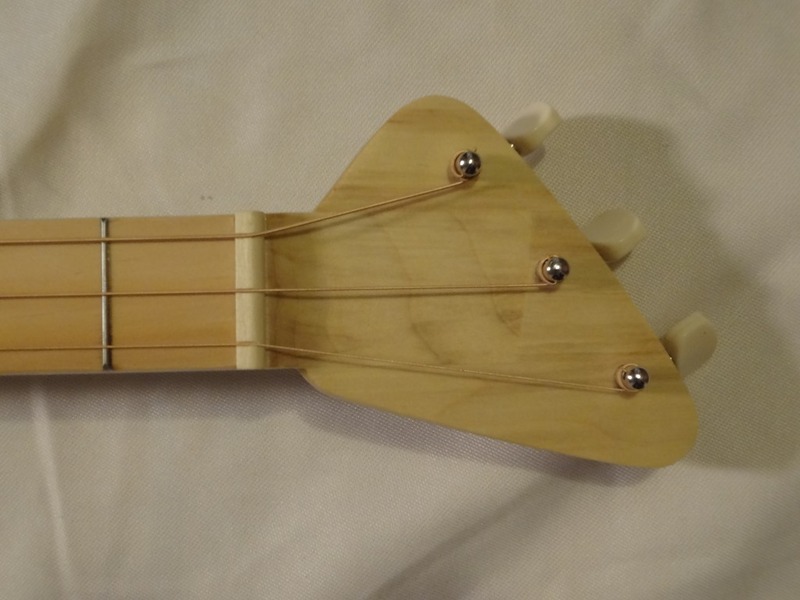 She is surprisingly loud for her size and has a beautiful warm tone. 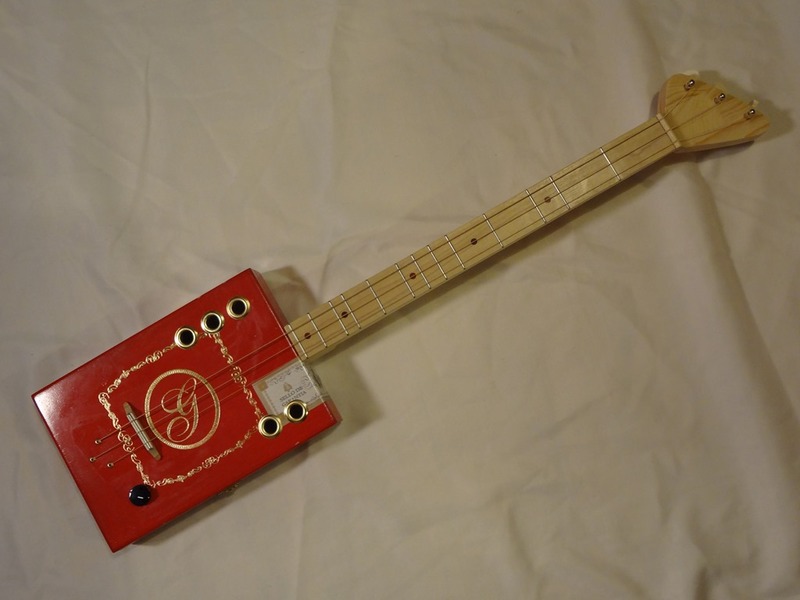 Of course you can plug her in a rock out too. 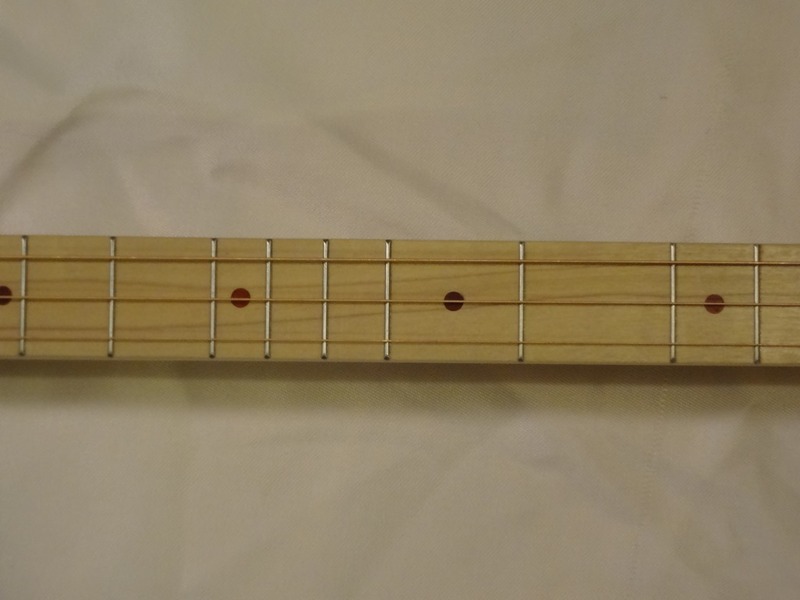 We used a Yellow pine neck with a lovely grain, Poplar finger board with Rosewood fret markers, and fretted her up diatonically to make a great all round guitar. 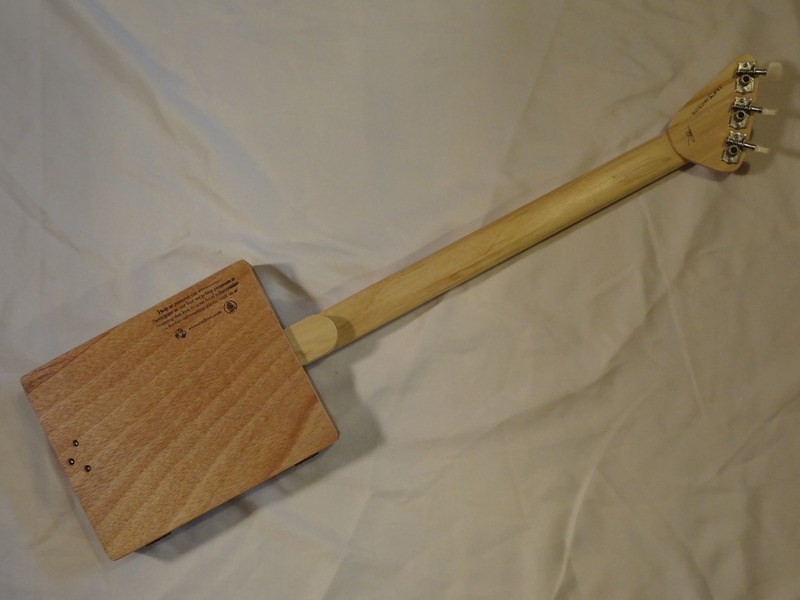 The 22.5 inch scale means you can take her anywhere. 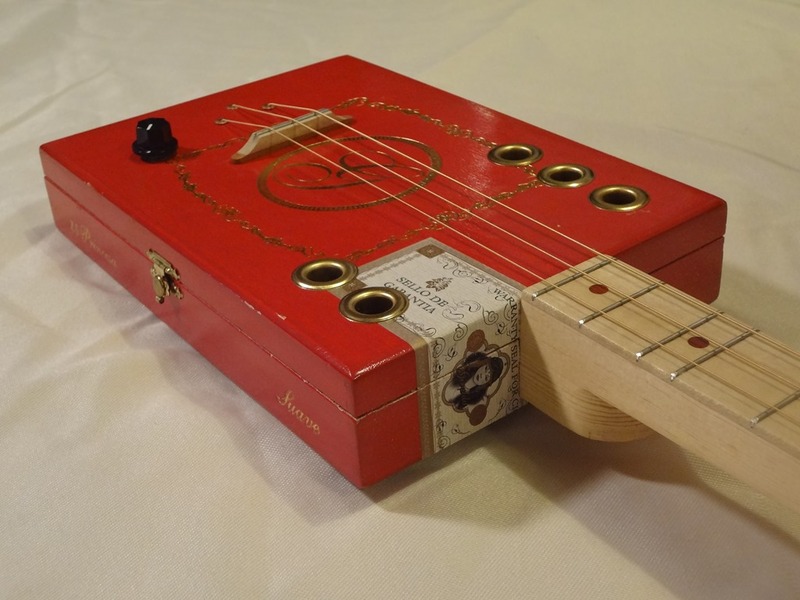 This box is huge, huge and cool. 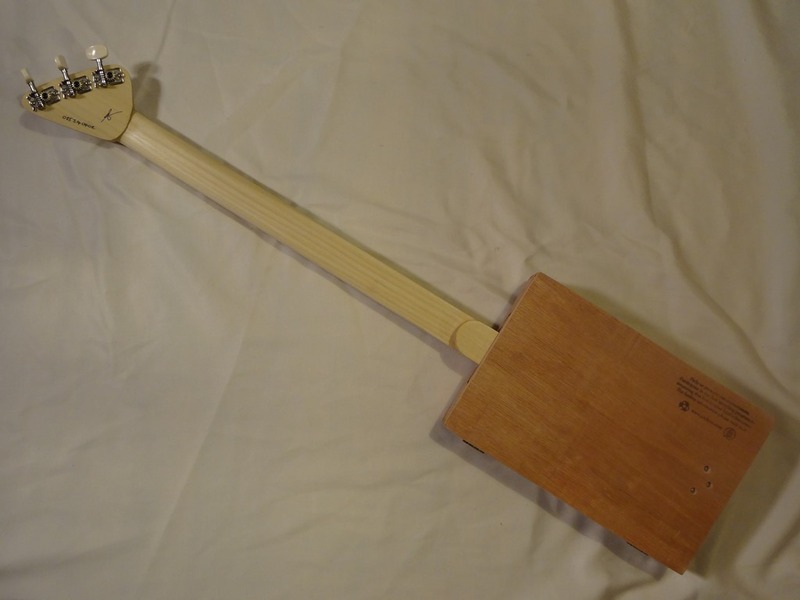 She a bit thinner than most of the boxes we use so we went with a straight neck through design rather than our usual two piece neck with heel but she looks and sound great. 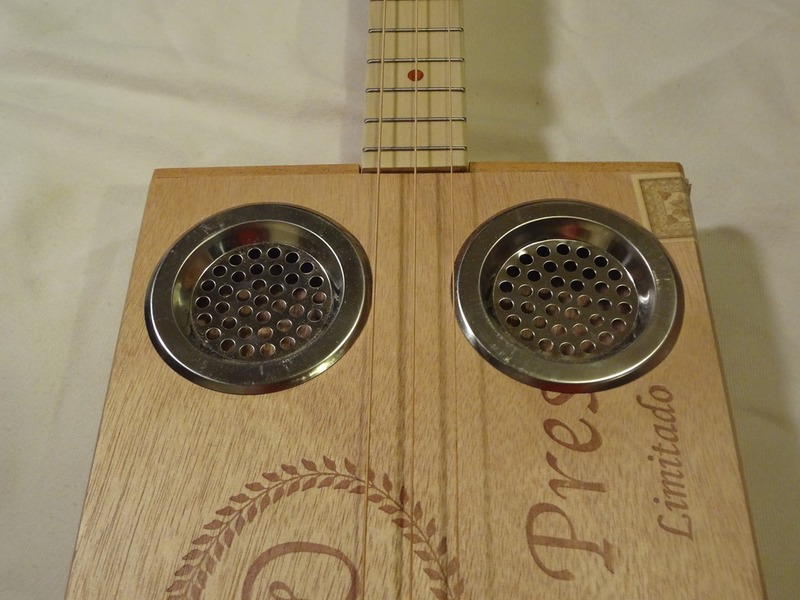 The two over-size sound holes let out a wonderful acoustic tone but she is just at home plugged in. 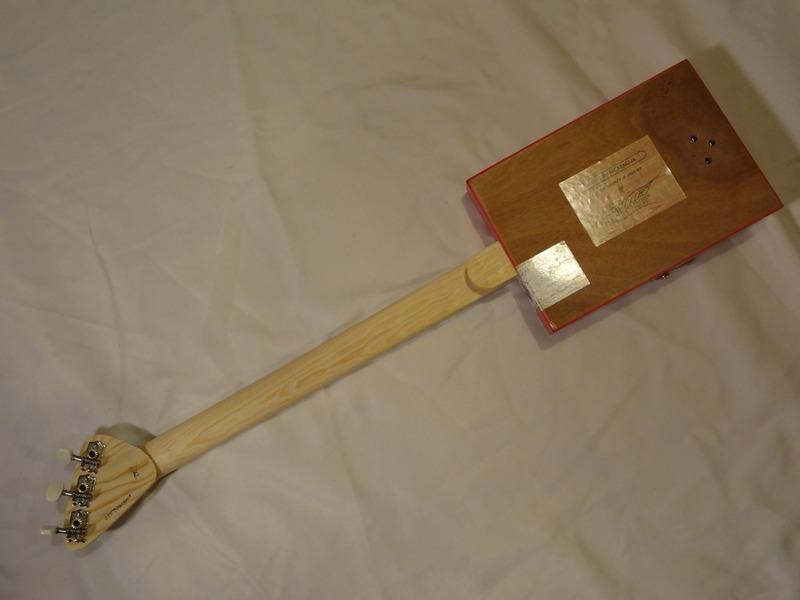 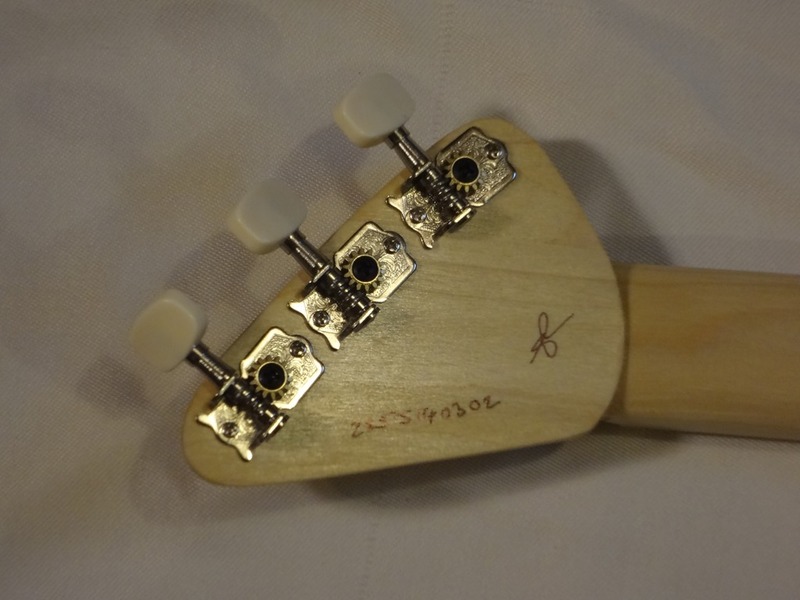 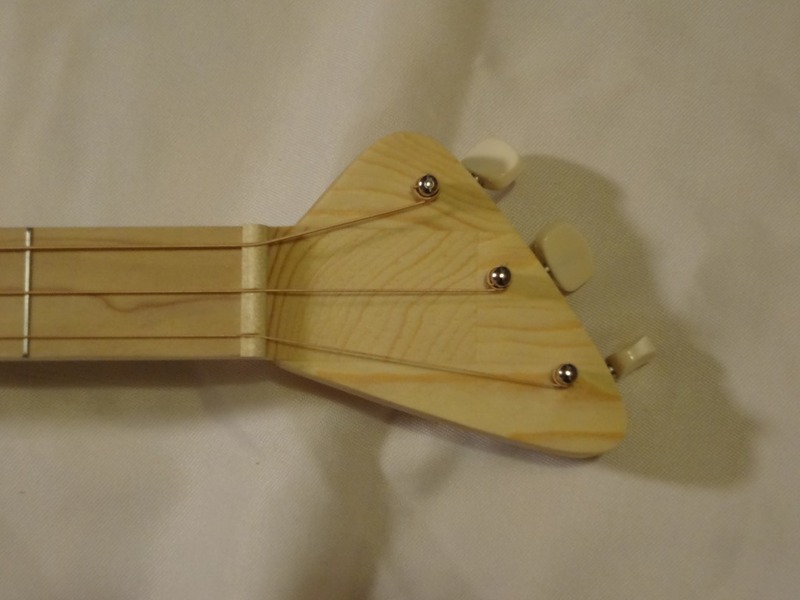 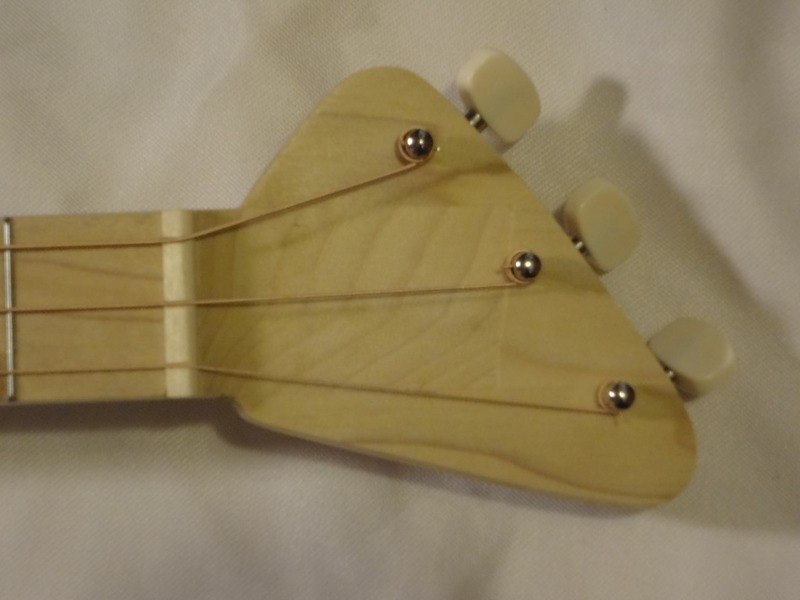 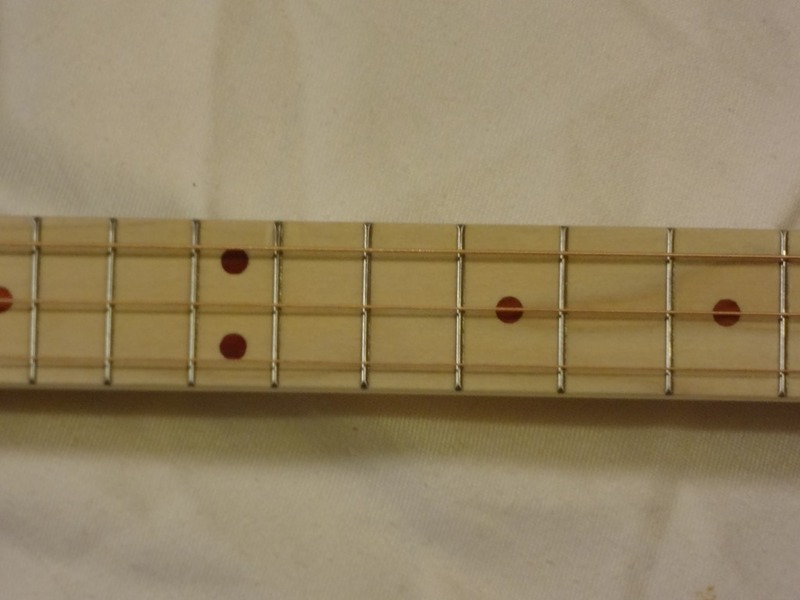 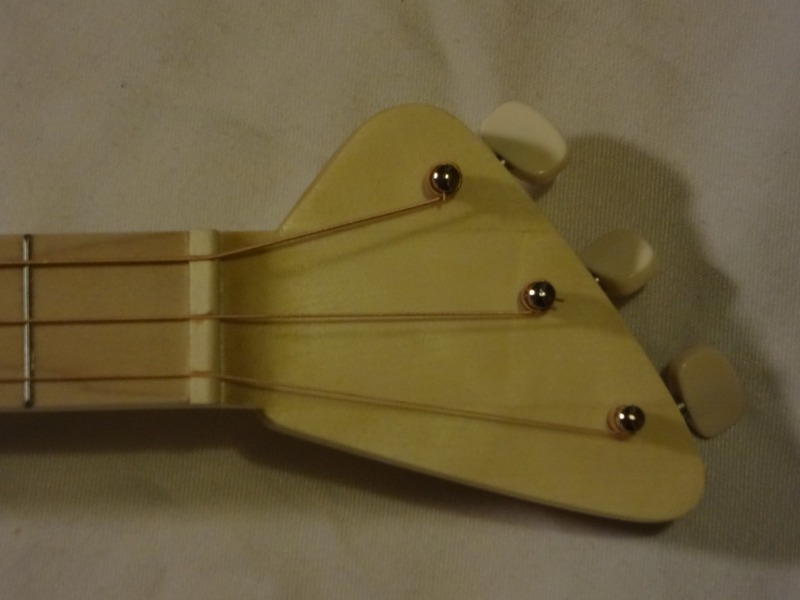 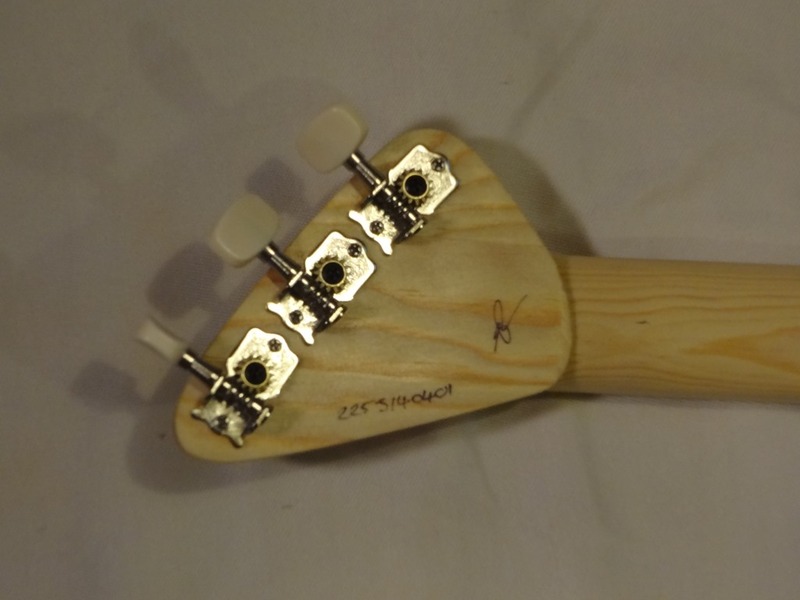 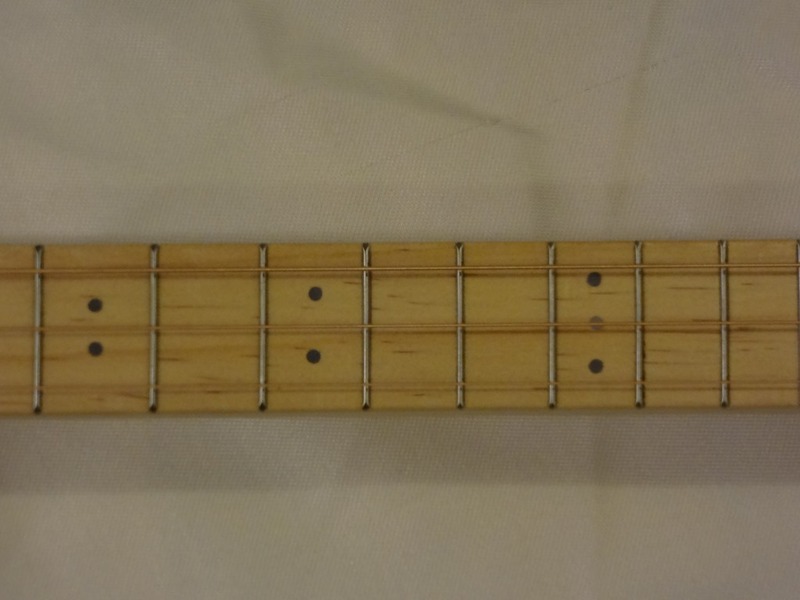 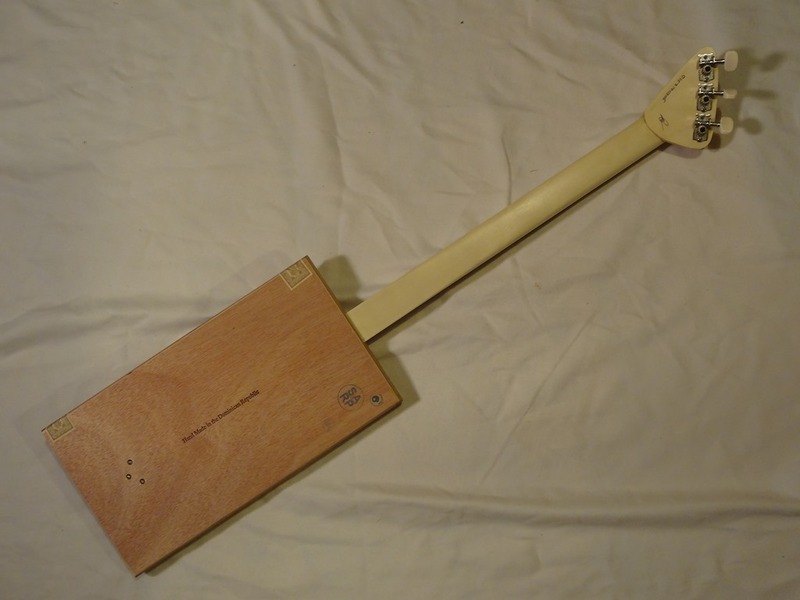 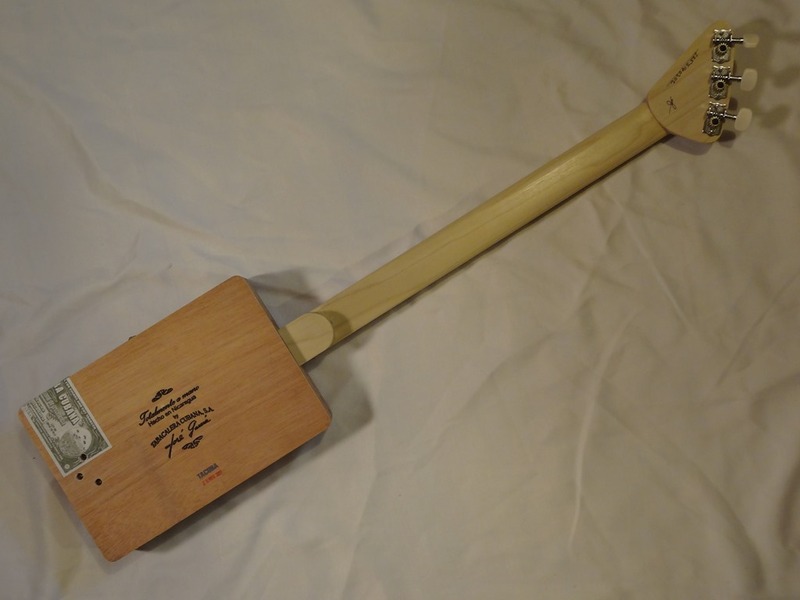 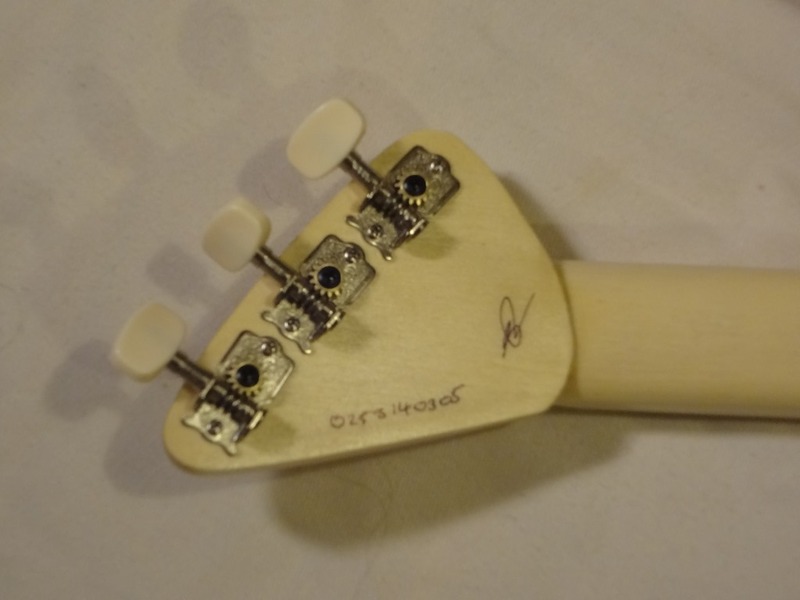 We used a Poplar neck with a Yellow Pine fret board and Rose wood fret markers to finish her off. 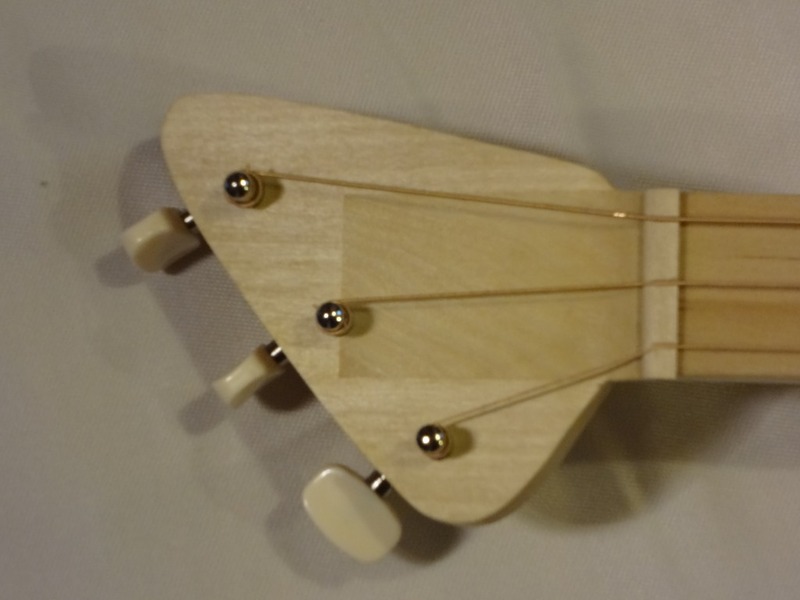 She’s a great looking and sounding guitar and definitely stands out from the crowd. 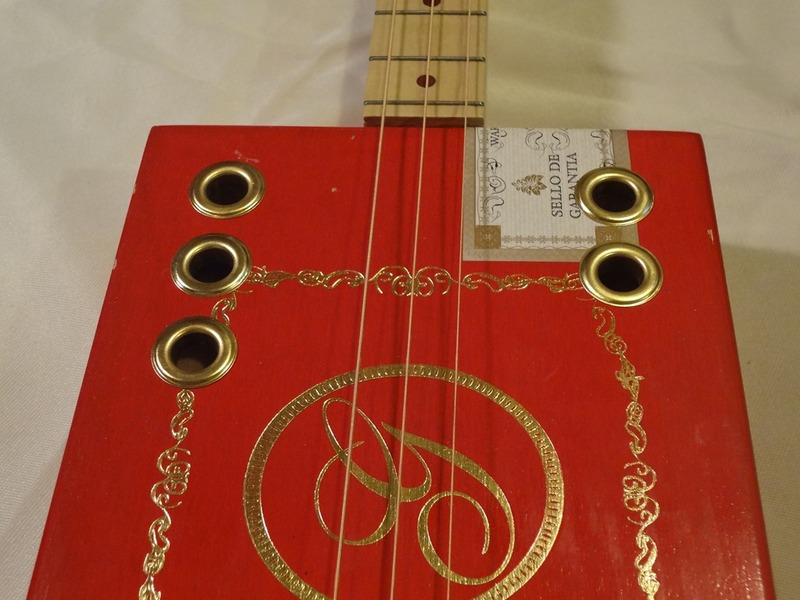 **SOLD** Pick her up on EBay or Etsy today. 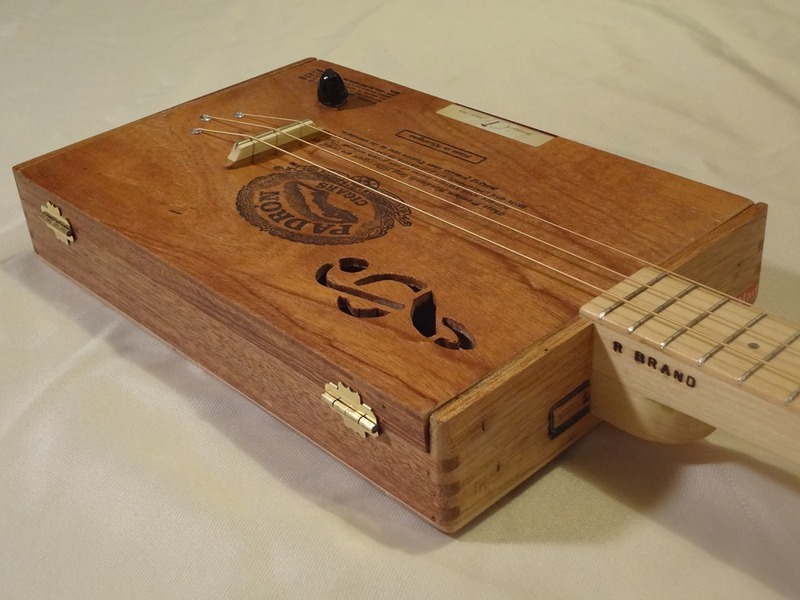 This is one of the coolest boxes we have had on the bench in a while , beautiful wood grain, great markings and cool round corners. 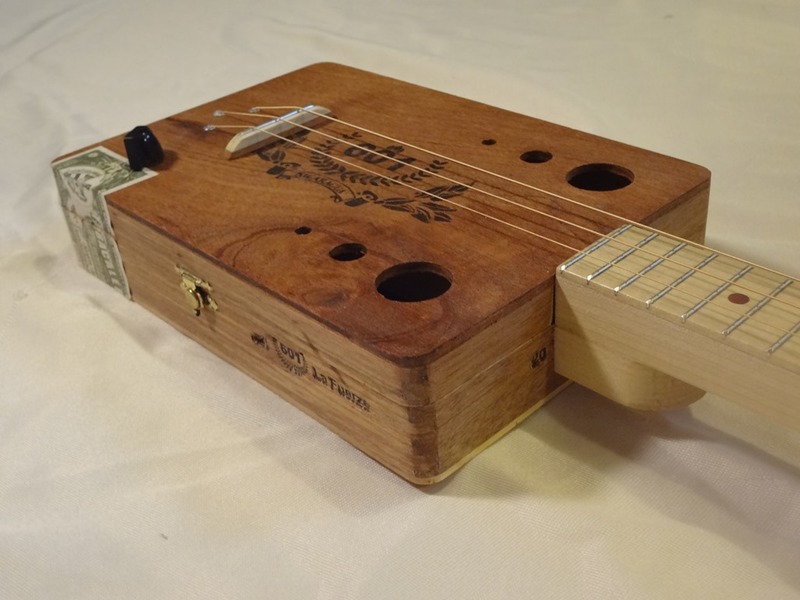 We added six subtle sound holes so not to spoil the look of the box. 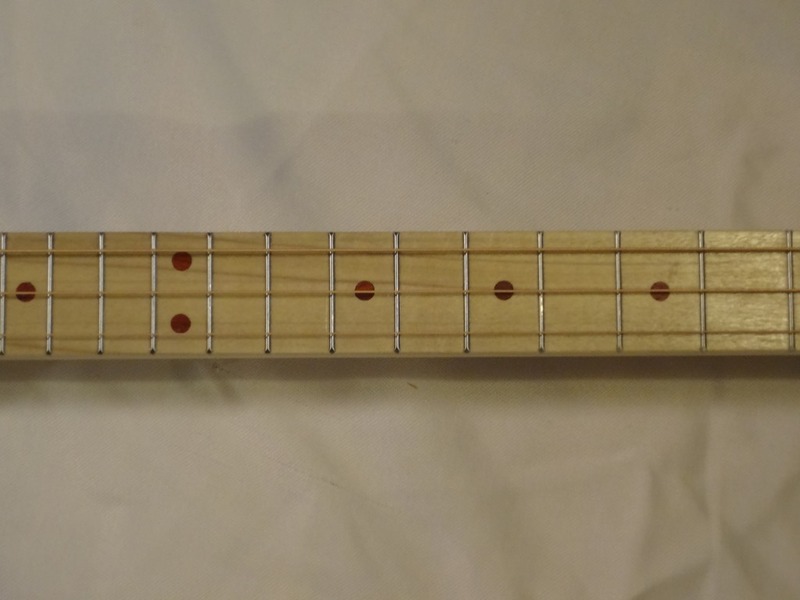 A simple Poplar neck and fret board with Rosewood fret markers top every thing off without taking any attention away from the box. 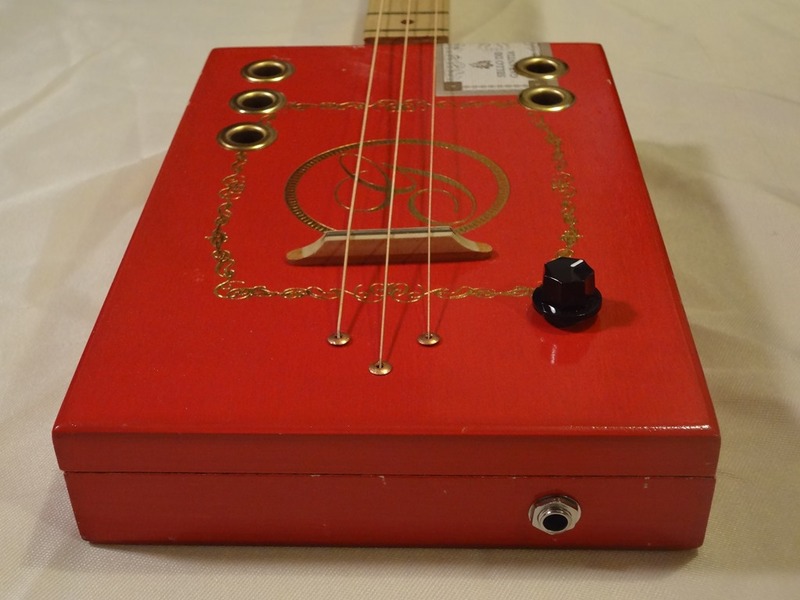 She is not just all looks either, the box has a nice thin top giving a nice acoustic tone but plug her in and she really screams. 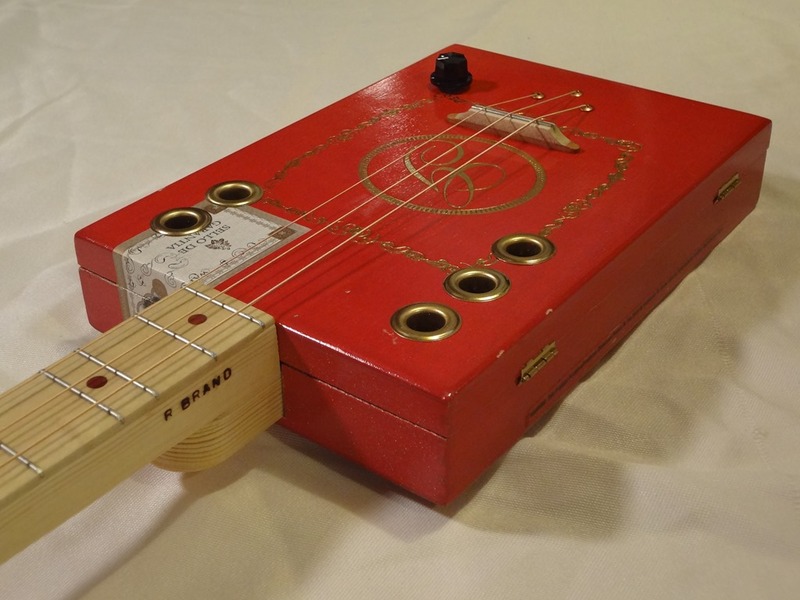 A great little all round guitar. 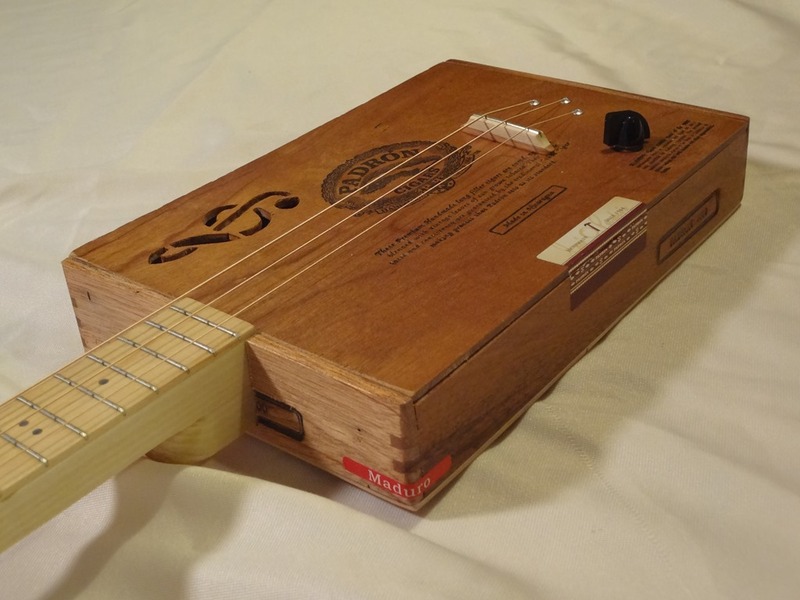 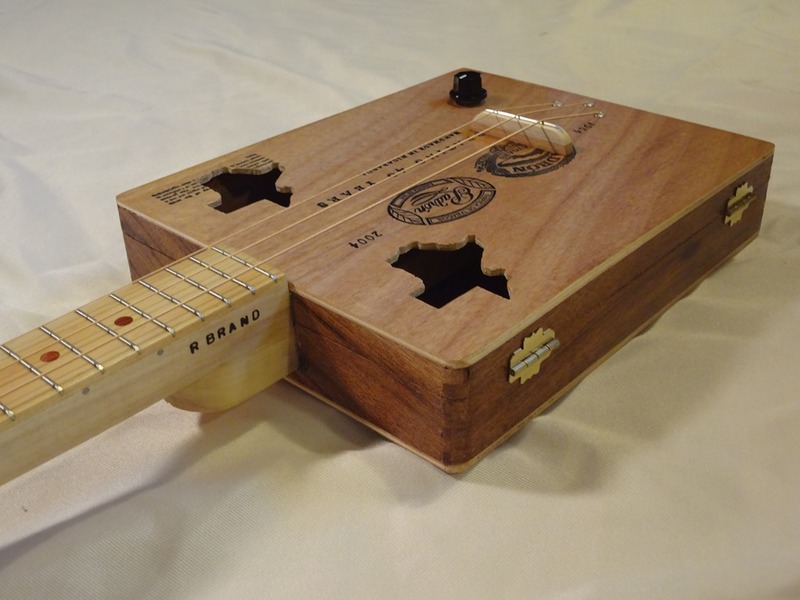 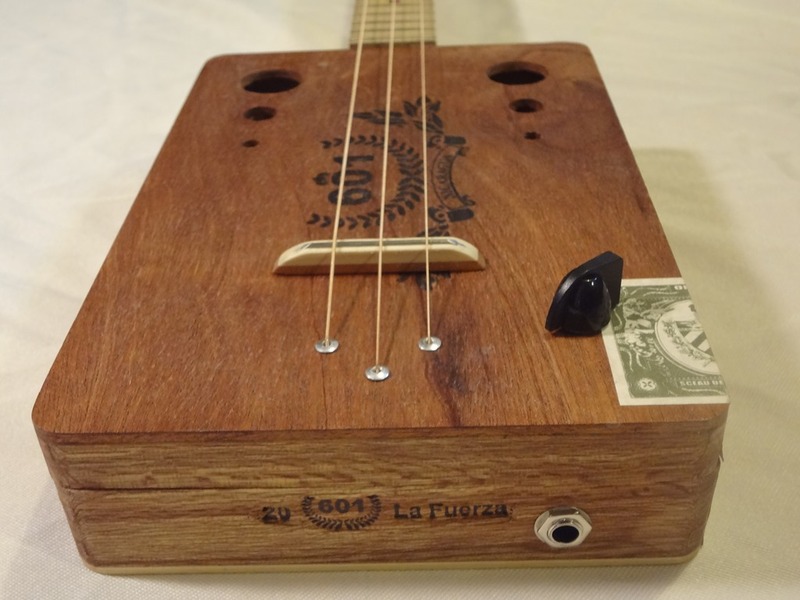 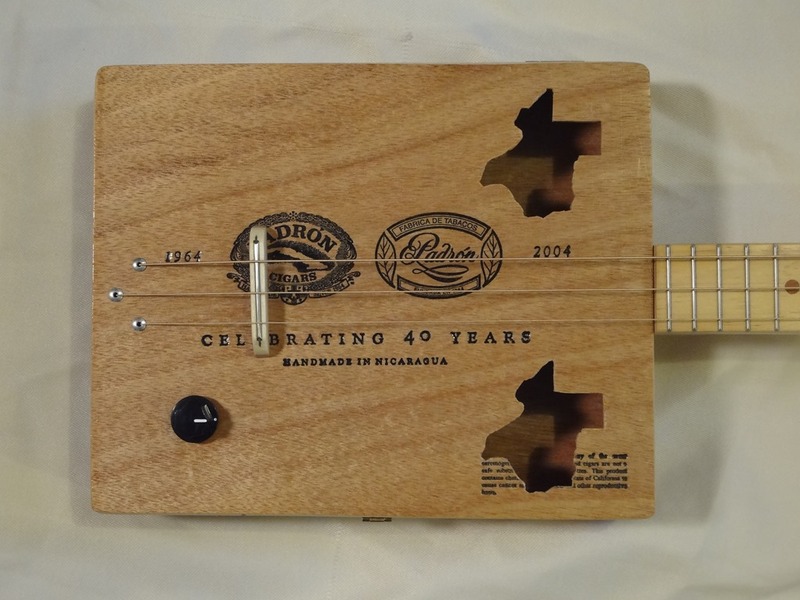 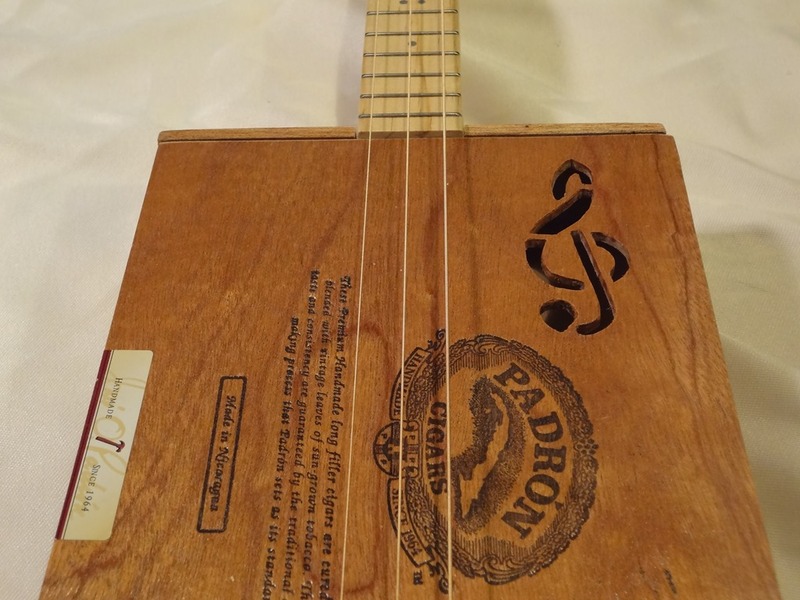 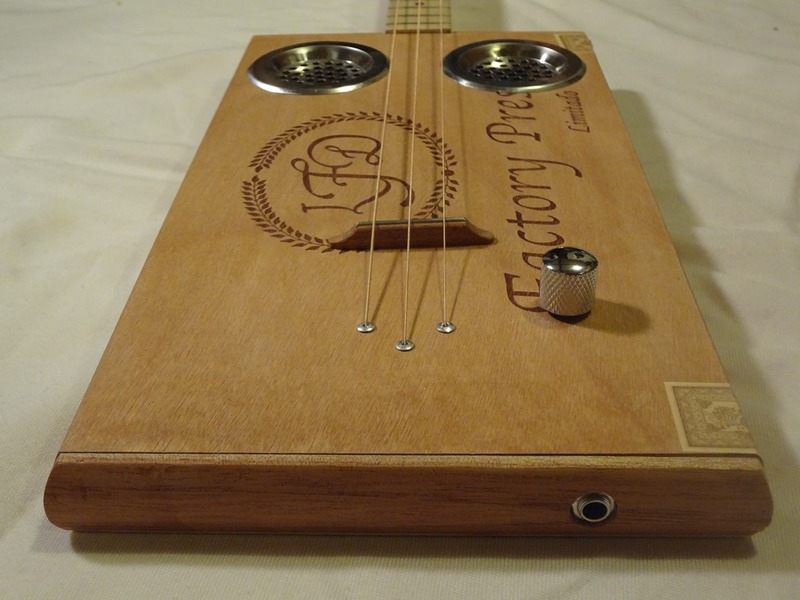 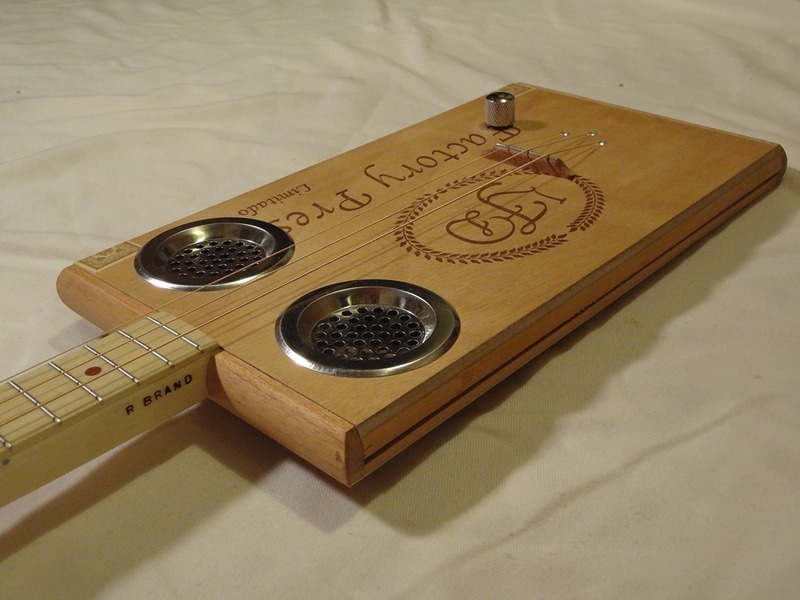 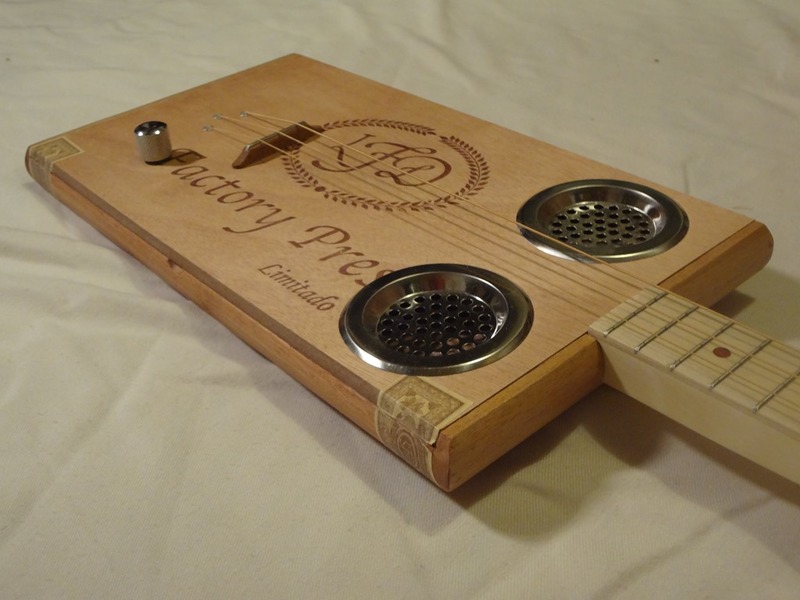 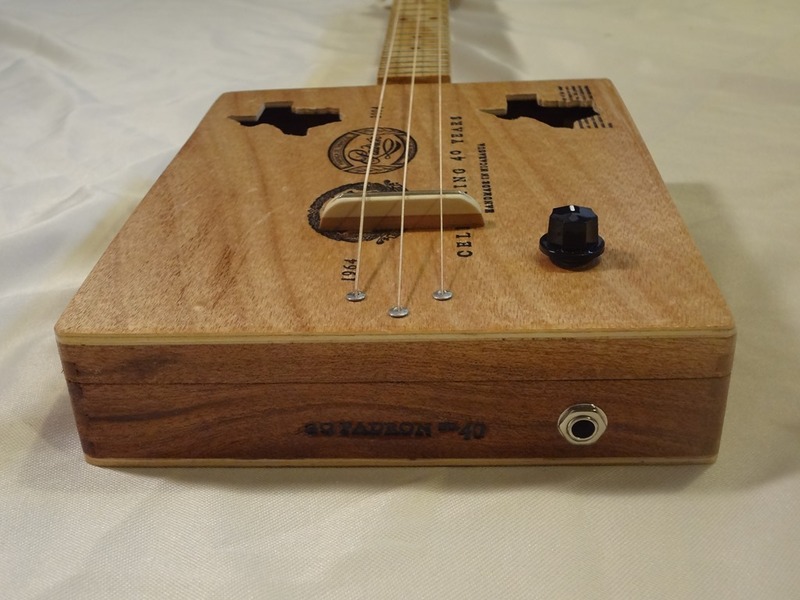 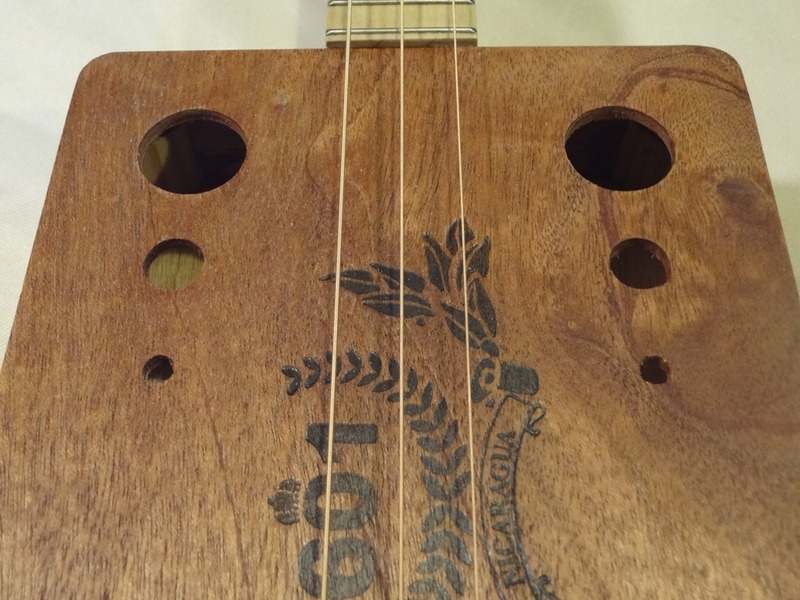 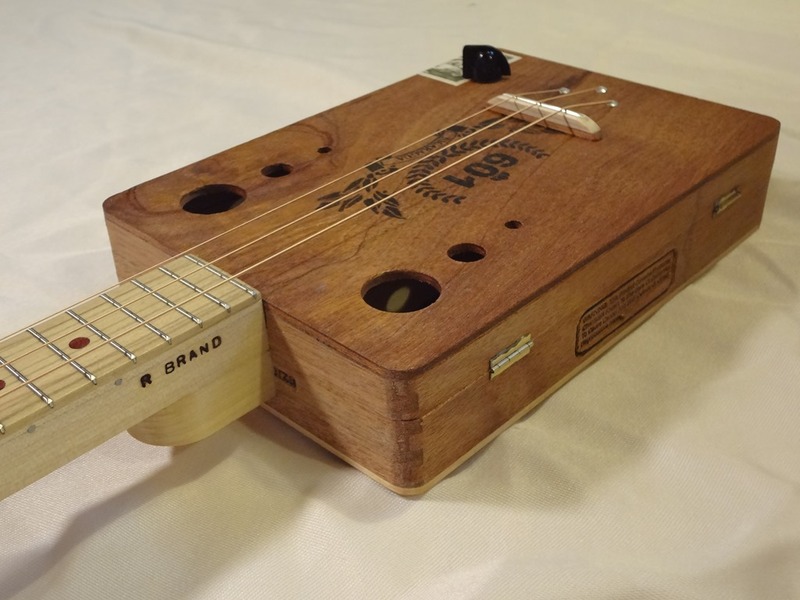 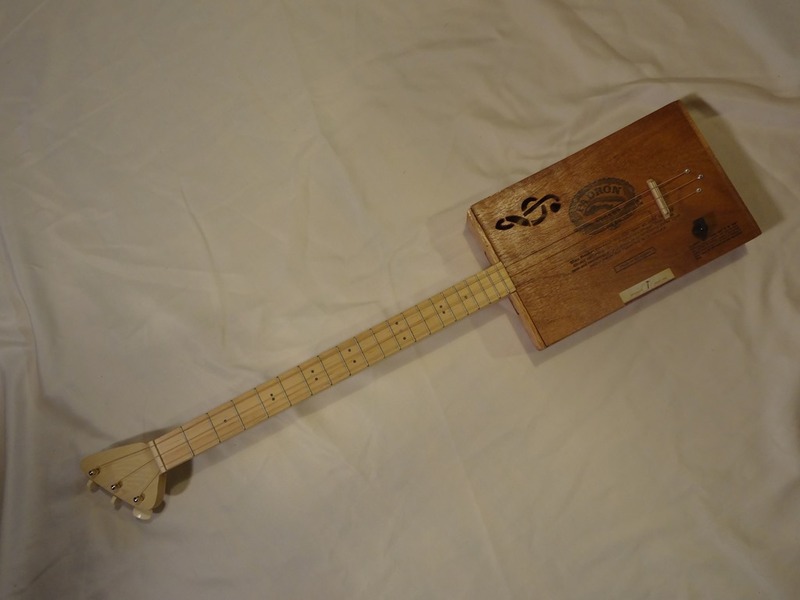 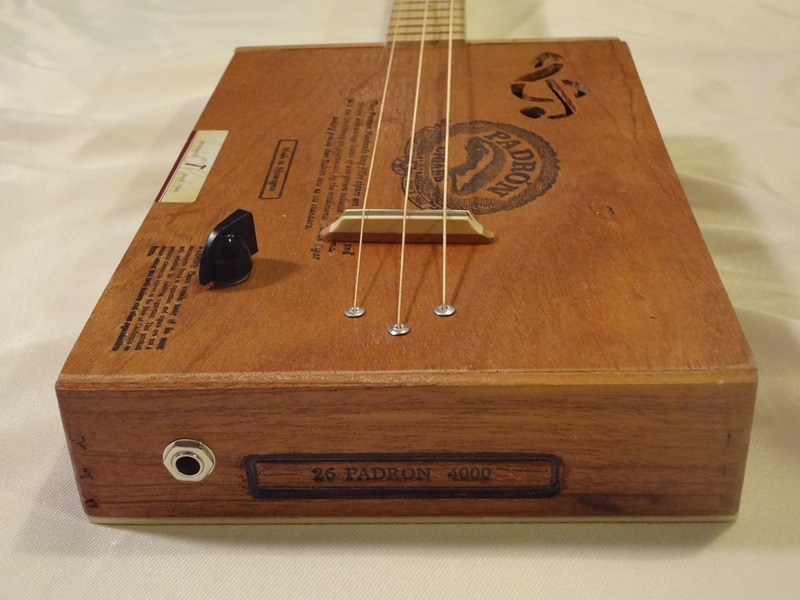 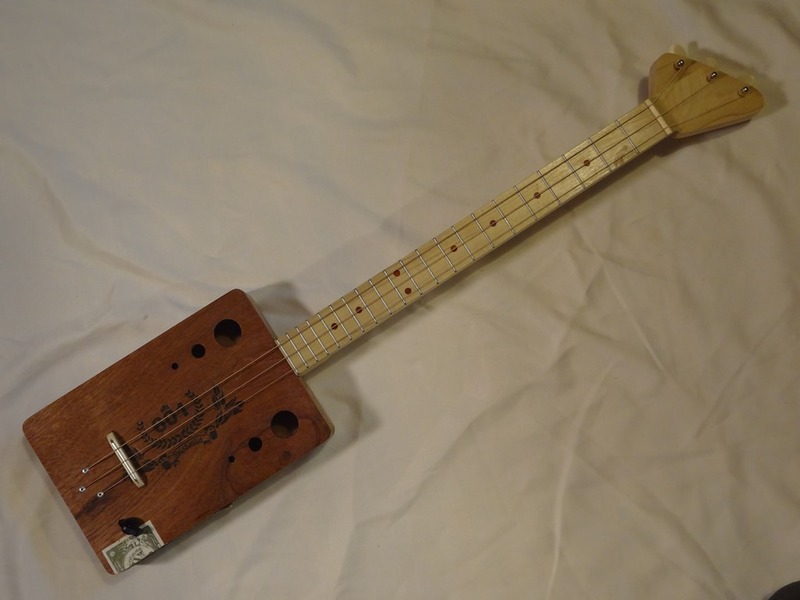 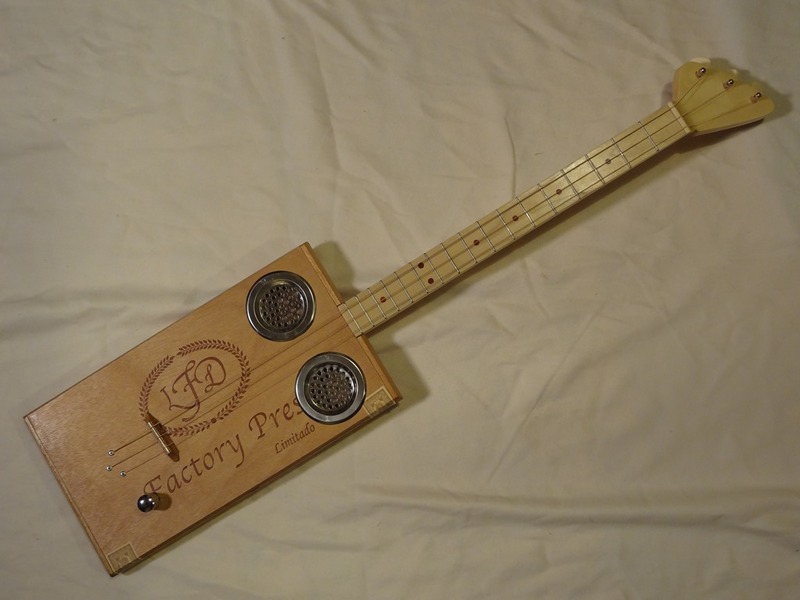 We took one of our favorite Padron boxes and got a little crazy with the sound holes. 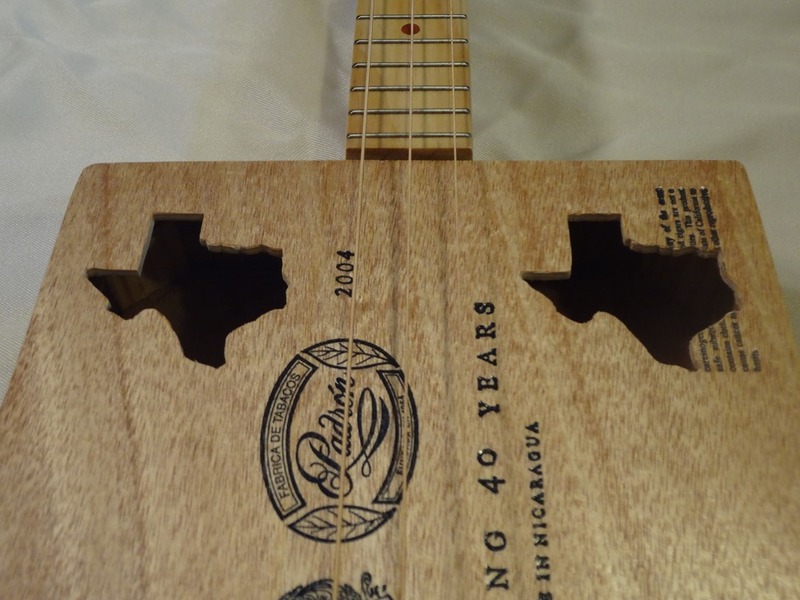 The Padron box gives a great look and sound and the Texas shaped sound holes let all that wonderful tone out.A Poplar neck and finger board with rosewood fret markers top everything off, the 22.5 inch scale makes for a nice sized guitar that is very easy to play.This little baby was made in the Lone Star State and is not afraid to show it, grab an ice cold glass of sweet tea, kick back on the porch and get ready for some down home Texas blues. 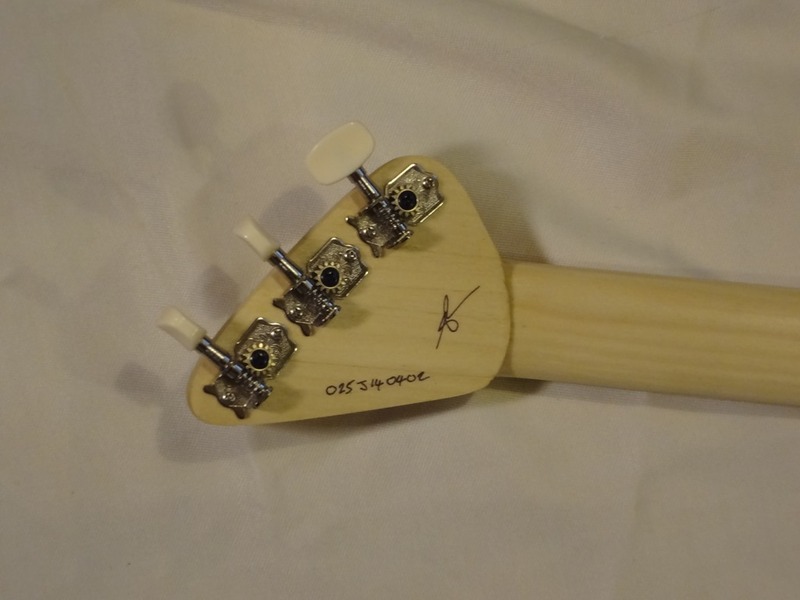 **SOLD** Grab this one on EBay.